President Rodrigo Duterte on Saturday night said drug personalities providing funds and protection to the Maute group will be arrested soon. "In the days ahead we will arrest all of them. 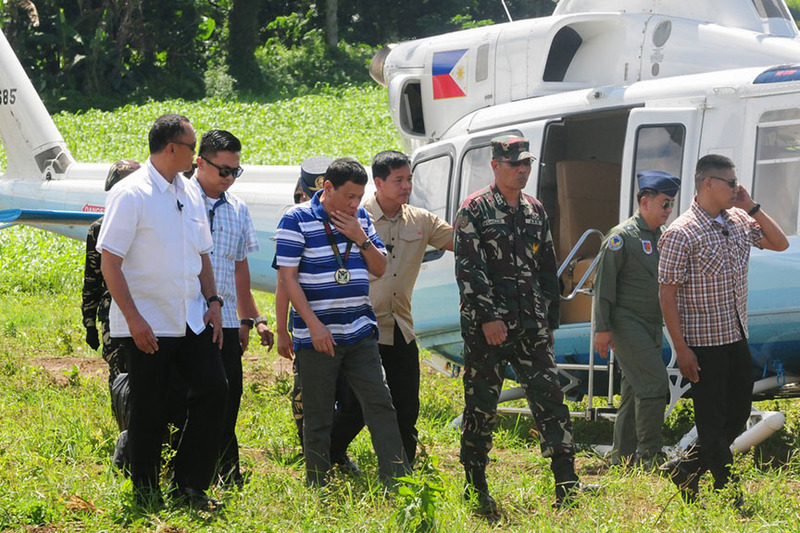 Number one 'yung nag-produce ng shabu, nagbigay ng pera sa terorista, they will all be arrested, whether politicians or not," Duterte said during his visit in Cagayan de Oro City. "We will charge you accordingly. We will detain you more than 'yung six days-six days. There will be at once an inquest and if there is a probable cause, I would like them to be detained forever," he added. Duterte did not provide names, but said there are several drug personalities in Marawi City, where more than 200 Maute group members are believed to be still holed up more than a week after the ISIS-inspired group's attack last May 23. "Marami 'yan dito sa Marawi, kalakasan. Kaya nga ang supply ng shabu dito sa Cagayan [de Oro] hindi maubus-ubos eh," the President added. Philippine National Police (PNP) chief Director General Ronald dela Rosa said at a press conference on Monday that the Maute group, drug lords and politicians involved in illegal drugs are protecting each other. Dela Rosa said that even before he assumed as PNP chief, he received information that drug lords from Metro Manila, Luzon and the Visayas attended a "drug summit" with the Maute group and narcopoliticians. On Wednesday, Dela Rosa said the PNP will take advantage of Duterte's declaration of martial law in Mindanao to address the problem of narcopolitics in the southern region. Duterte placed Mindanao under martial law following the Maute group's attack in Marawi City.